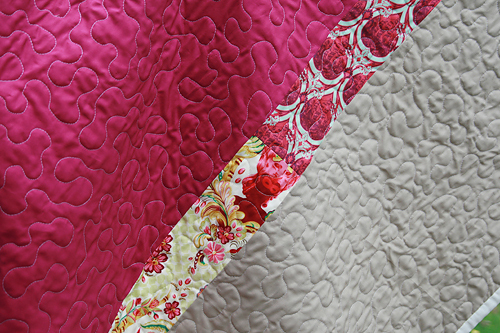 Hooray, I've finished my Parisville quilt! 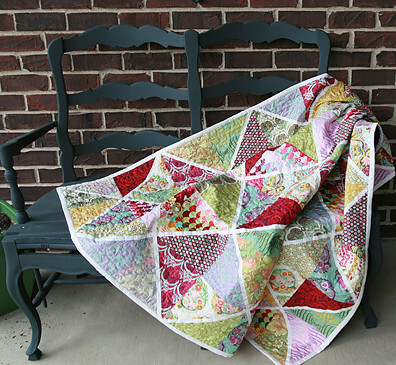 This quilt was made using a fat quarter stack of Tula Pink's Parisville fabric. 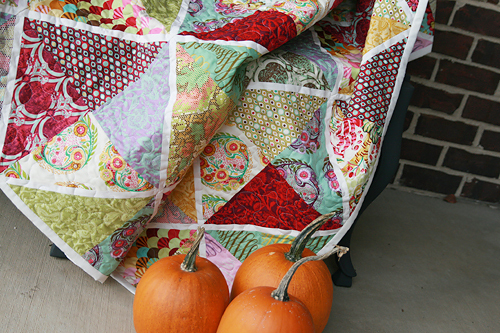 This fabric is a work of art, with hidden images in the prints. Just beautiful! These blocks were not hard to make at all. 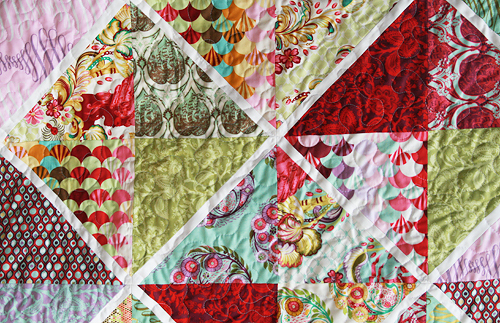 I cut out 8.5" squares from the fabric and then I cut those diagonally into large HSTs. Then I cut strips of Kona Snow, 1" x 13". I sewed those down the long side of the HST and then placed another HST on the other side of the Kona Snow stripe. 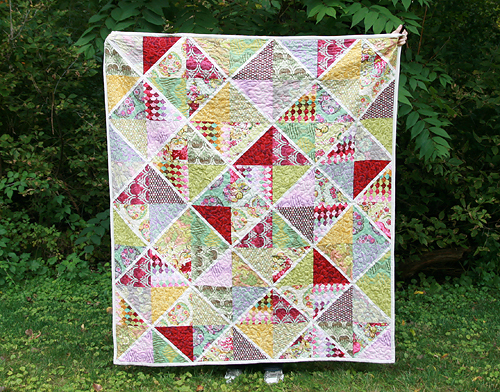 Square up to 8.5" and you get a square with a white strip diagonal down the center. If you are not totally accurate with your 1/4" seams, that's ok (just be consistently not accurate so it all lines up in the end. ;)). Simply cut your squares at 9" instead and then square them up to 8.5" when you are done. For the back I used Kona Cerise and a Kona tan color that I'm not entirely sure of the name right now. 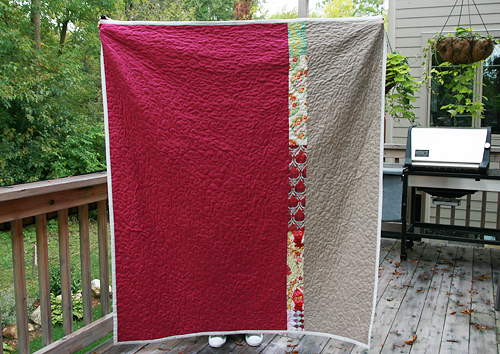 I added a simple strip of Parisville fabrics to the back.